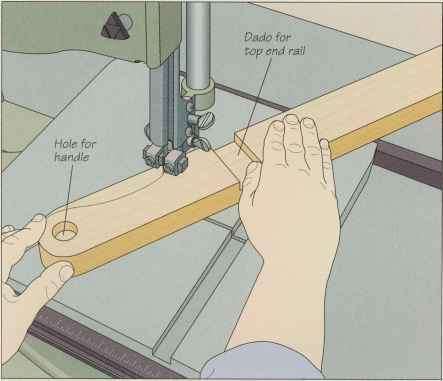 Using glue and screws, attach a cleat along the inside face of each lower side rail so the top edges of the cleats are % inch below the top edges of the rails; apply only a few drops of adhesive along the length of the cleat, rather than covering its entire surface to avoid trapping water between the rails and cleats. 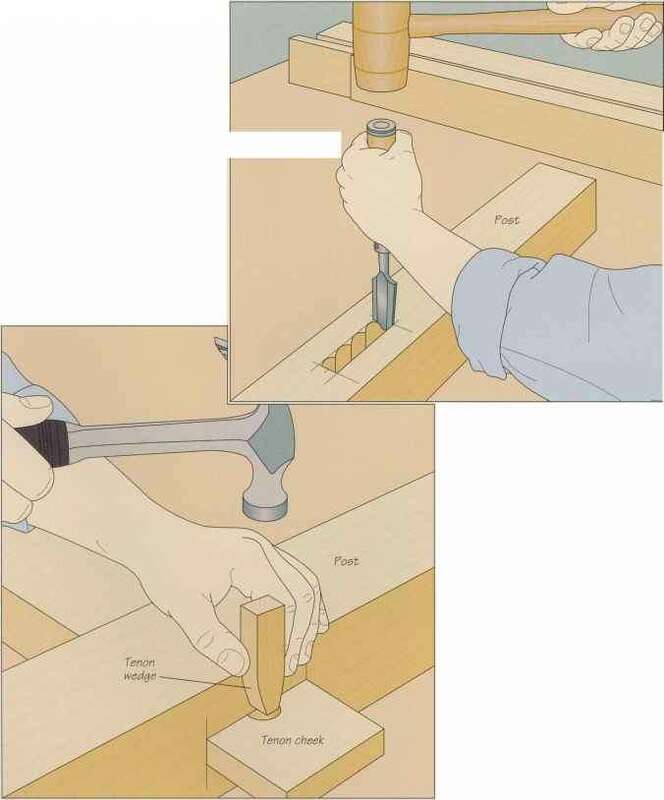 Start installing the slats at one end rail. Notch the ends of the first and last slats to accommodate the legs, and fix each piece in place with two nails at each end. 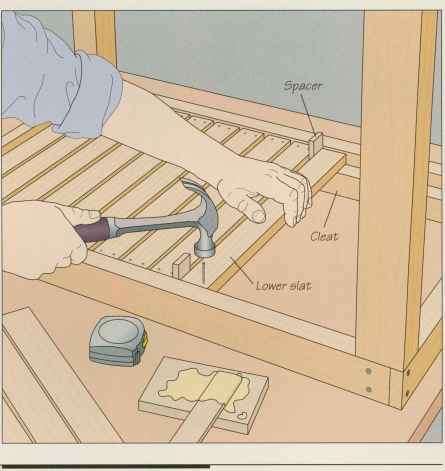 Use %-inch spacers to separate the slats (right).